Your credit score will determine how reliable you are in the lending world. The higher your score, the lower your interest rate will likely be. Check your credit on one of the three major credit reporting agency sites—TransUnion, Experian and Equifax—or your credit card company may have a free credit report service (although these aren't as reliable). Improve your FICO score for a better chance at a lower interest rate. Local Mortgage Lenders: Shop around. Interest rates can vary from company to company even if they're located in the same town. Loan Size: The size of your home can also impact your interest rate. The bigger the loan, the higher your interest rate will be if you're not putting more money down. Down Payment Size: Your mortgage interest rate may also depend on how much you're putting down and if your loan includes closing costs and private mortgage insurance (PMI). Putting down less than 20 percent can increase your risk factor and may require PMI, but your interest rate may be lower depending on the loan. 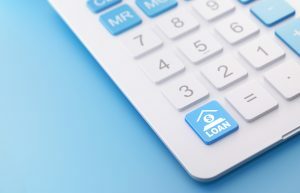 Loan Length: Your loan terms play a bigger role in interest rate calculations than you think. Have you decided whether you want to pay off your loan in 15 or 30 years? You may pay more per month with a shorter term, but you'll be paying less interest over the life of your loan. Short-term loans may also have a smaller interest rate. Fixed or Adjustable: You'll also have to consider whether a fixed- or adjustable-rate loan is right for you. Your interest rate can change over time if you choose an adjustable-rate loan. It may start off low or fixed, but can increase over time depending on market conditions. Fixed-rate loans, however, will have a higher interest rate attached to them. Loan Type: Interest rates can also vary according to your loan type. Choosing a loan can be overwhelming, but a local lender should be able to provide you with the best options. Some of the more popular loans are conventional, FHA and VA loans. While FHA loans have less down payment restrictions and a smaller interest rate, your monthly payment can be more expensive due to the required PMI added on. VA loans can have smaller interest rates and don't require PMI like FHA does. Conventional loans are widely accepted in the real estate industry as dependable, but your interest rate may be higher.